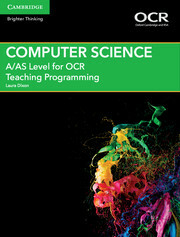 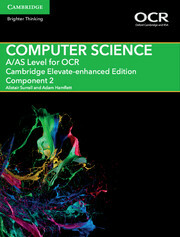 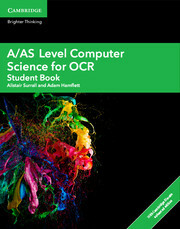 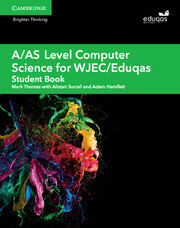 Written for the OCR A/AS Level Computer Science specifications for first teaching from 2015, this Cambridge Elevate enhanced edition helps students build their knowledge and master underlying computing principles and concepts. 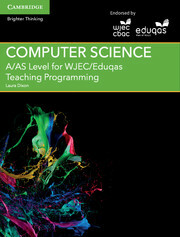 The resource develops computational thinking, programming and problem-solving skills. 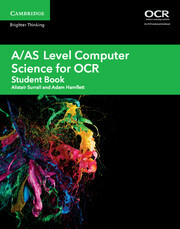 Suitable for all abilities, it puts computing into context and gives students a real-life view on professional applications of computing skills. Cambridge Elevate enhanced editions contain rich digital content, such as formative assessments, interactive exercises and animated tutorials. 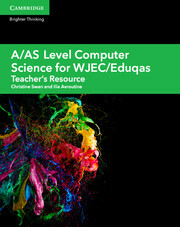 Answers to end-of-chapter questions are located in the free online teacher's resource.